Each year, NAHO polls the attendees at its Professional Development Conference regarding the cities in which they'd like NAHO to host a conference. We rotate the conference site between the Western states, the Central states and the Eastern states. Our 2019 Conference will be held in New Orleans, LA from November 4 to November 6, 2019. This annual gathering provides NAHO members, attorneys involved in the practice of administrative law and all who are involved in some aspect of administrative adjudication with training and professional development. It is an opportunity for networking and provides a forum in which to meet and discuss ideas and issues impacting the administrative hearing process. The Conference will deliver an array of educational courses on general administrative law topics, elimination of bias, hearings practice, and specialized subjects such as decision/order writing, evidence (basic and advance), hearing management, ethical issues, alternative dispute resolution (basic and advanced) and many more timely subjects. NAHO prides itself on the quality of its faculty. Instructors include professors who are recognized experts in administrative law, appellate judges, and experienced administrative adjudicators. The conference will also include interactive panel and roundtable discussions led by knowledgeable administrative hearing officials. 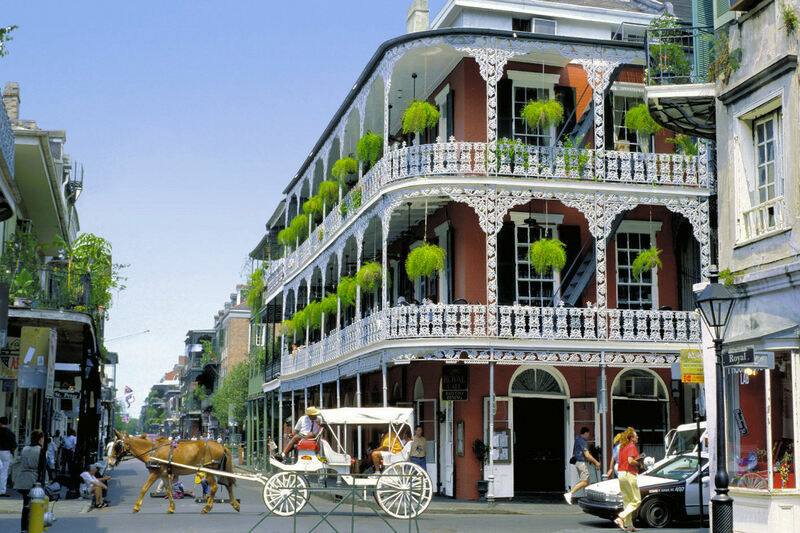 The Conference will be held at the Renaissance New Orleans Pere Marquette French Quarter Area Hotel. Located in the heart of the French Quarter, the hotel pays homage to the heritage of New Orleans, known for Jazz, Jackson Square, Bourbon Street, and some of the finest dining on planet Earth. Within the hotel you can enjoy historic architecture and savor the French and Southern cuisine of the hotel's New Orleans Coffee and Beignet Company or taste delicious seafood specialties and cocktails at the Oyster Counter and Tap Room. The French Quarter is the oldest section of the City of New Orleans, founded in 1718. Many of its buildings date from before 1803. It is home to Jackson Square, the French Market, St. Louis Cathedral, Preservation Hall, the Old Ursuline Convent Museum, the New Orleans Jazz National Historic Park and the Louisiana State Museum. Click here to see the past conference brochures and the wonderful locations! Conference materials are available in the Members section of our website.